Upland Main Road is a must stop for every New vehicle in Vizag. Such is the faith that the people of the city have in this deity. Sarvadarshanam 530-830 pm Sri Sampath Vinayaka Swamy Temple was constructed in the year 1962 in the premises of M/s S.G.SAMBANDAM & Co. in the Asilmetta area. The purpose was to offer a place of worship for the family members and staff and also to ward off possible VASTU DOSHA of the building. Soon the local fishermen started offering prayers at the temple. while taking their â€˜catchâ€™ to the market They also started â€˜DEEPARADHANAâ€™ at this temple and started experiencing miracles in their lives. 5 years later when the Paramacharya of Kanchi Kamakoti Peetham His Holiness Sri Chandrasekharendra Saraswati Swamy reconsecrated the shrine and placed the â€˜GANAPATHY YANTRAMâ€™ with his own hands. 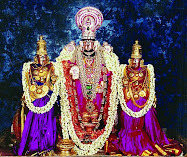 Since then the temple became popular with devotees increasing day by day. During the 1971 Indo - Pak war the then Admiral Krishnan of Eastern Naval Command broke 1001 Coconuts in the temple and prayed for warding off Pakistani attack on the City from the sea. Within a few days, a Pakistani Submarine Ghazi tried to attack the port city was destroyed and the city and the citizens were spared from death and destruction. M/s S G Sambandam & Co commisioned the construction of the temple in the year 1962 and Paramacharya of Kanchi Kamakoti Peetham His holiness Sri Chandrashekarenra Saraswathi Swamy reconsecrated the shrine and placed "Ganapathy Yanthram" with his own hands in the year 1967. The temple is located within a walking distance from the RTC COMPLEX and just a couple of kilometers from the Railway Station. There are many other people who regularly visit the temple and experience miracles. Some pujaâ€™s are booked years in advance. Even the VIPs prefer to pray along with ordinary devotees happily here. Though the pujas are conducted during specified hours, you can visit the temple any time to have the â€˜darshanâ€™ and seek blessings of the Ganesh. Special Homams are performed during the Vinayaka chavithi, Ugadum Shivaratri festivals.